Save valuable time and energy when performing various household tasks with the help of Crimewatch Security in Salisbury North Carolina. We install excellent home automation systems and network infrastructure cabling for residences and offices. 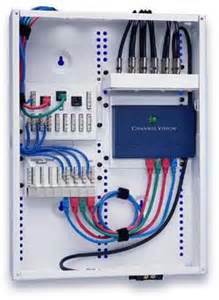 Set up Hardwire infrastructure with structured wiring inside your home and business. Let us integrate all of your telephone, Internet, and video systems, together with Category 5 and 6 cables. We properly organize your network infrastructure by hiding the wiring's using a structured cabling box. Our skilled technicians can also provide a certificate, which confirms that your network cabling system meets all specifications and regulations.